The Nomination Brushed Domino Steel Trend Setter Mens Bracelet has winning appeal. Crafted from strong stainless steel with a mix of satin and polished finishes and adjustable links which are easy to put in and take out yourself, this stylish bracelet has been handcrafted in Italy, Nomination's classic yet innovative charms and jewellery are sure to create a style stir. https://www.johngreed.com/nomination-brushed-domino-steel-mens-bracelet 126489 Brushed Domino Steel Mens Bracelet https://www.johngreed.com/media/catalog/product/b/t/bt4585_0_1.jpg 33 33 GBP InStock /Men/Men's Wedding Jewellery & Gifts/Men's Wedding Gifts/Gifts for the Groom /Men/Men's Wedding Jewellery & Gifts/Men's Wedding Gifts/Gifts for the Bestman /Men/Men's Gifts/Occasions/Valentine's Day Gifts /Men/Men's Gifts/Occasions/Father's Day Gifts /Men/Bracelets /Men/Brands/Nomination /Men/Brands/Nomination/Bracelets /Men/Men's Stainless Steel Jewellery /Men /Men/Men's Wedding Jewellery & Gifts /Men/Men's Wedding Jewellery & Gifts/Men's Wedding Gifts /Men/Men's Gifts /Men/Brands /Men/Men's Gifts/Occasions The Nomination Brushed Domino Steel Trend Setter Mens Bracelet has winning appeal. 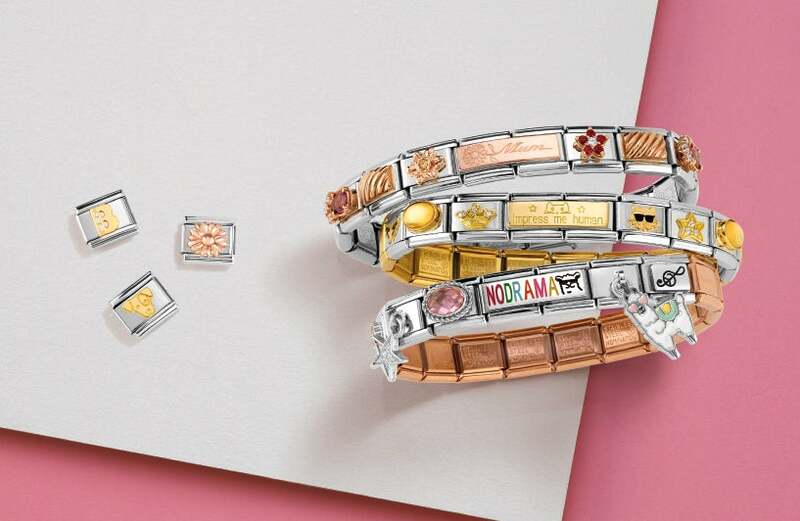 Crafted from strong stainless steel with a mix of satin and polished finishes and adjustable links which are easy to put in and take out yourself, this stylish bracelet has been handcrafted in Italy, Nomination's classic yet innovative charms and jewellery are sure to create a style stir.